In a mixed metals market, one kind of discovery is generating outsized returns: high-grade gold in prolific regions. The Golden Triangle in northwest BC is one such region. From huge porphyries to world-class polymetallic systems to super high-grade gold deposits, the Golden Triangle has revealed a lot of metal over the years. And in recent years new roads and receding glaciers have sparked an exploration resurgence. Better access and new rocks are revealing a new round of discoveries – and investors are paying attention. One of those discoveries is Forrest Kerr. It’s a long property that tracks the Red Line, the key geologic marker for gold in the region. And Aben Resources (TSXV: ABN) is showing that the Red Line has also worked its magic at Forrest Kerr. 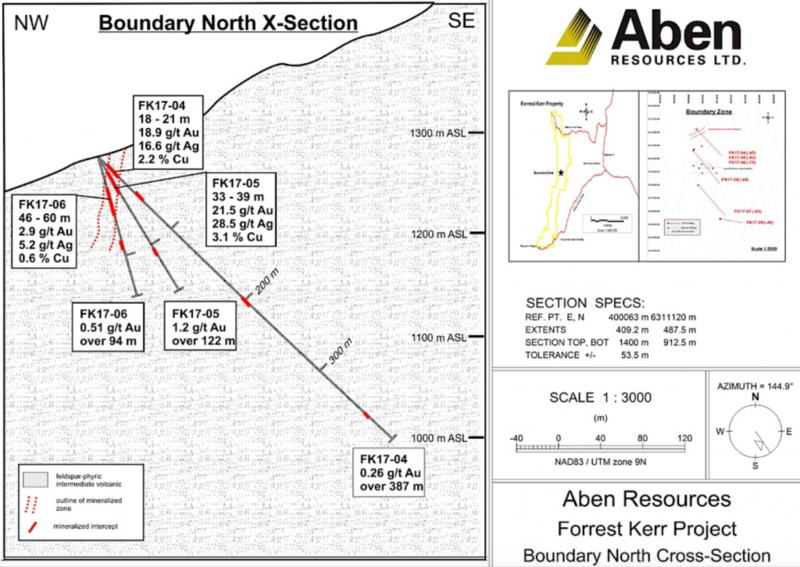 Late last year, in its first drill program at the project, Aben tagged into some good gold at the North Boundary zone. This year they returned, armed with a winter’s worth of structural study, and their first hole returned 10 metres averaging 38.7 g/t gold. Investors swooned. And so they should – that’s a heck of a hit. Aben shares doubled. Legendary gold investor Eric Sprott invested $2 million. Then the company released results from another target, called South Boundary. It was a second legitimate discovery and offers very real potential, but its first few holes carried lower grade gold…and investors, not paying attention to Aben’s maps, sold off. That means opportunity. Today Aben shares are trading at pre-discovery levels – and results from two dozen North Boundary holes are pending. Some are imminent. There are no guarantees of further high-grade hits…but the odds are darn good. And if North Boundary does return another set of stellar grades, investors watching for new gold discoveries in a famed region will likely pile in again. Forrest Kerr has never seen the kind of work that Aben is doing. Noranda poked around in the 1990s and drilled into high grade gold, but it wasn’t the style of mineralization they sought so they moved on. Another team explored in 2011 but the bear market derailed its efforts. Aben used that bear market to join adjacent properties and gather up all the scattered old data. There has been a fair bit of work, from drilling to soil sampling, but by scattered operators spread over several decades. When you pull it together: the big picture has all the right elements. The long, skinny Forrest Kerr property tracks a major fault. The fault is very close to a major geologic contact – the Red Line, with which all the gold deposits in the Golden Triangle are related – and emanating from the fault are secondary structures cutting through Stuhini Group Rocks. That is exactly the combination that can host high grade in the Golden Triangle. There is robust alteration across the property, numerous documented occurrences of gold, silver, copper, lead, and zinc, and several large untested soil anomalies. North Boundary, the target that produced 33 g/t gold over 11 metres for Noranda, also produced Aben’s first discovery. Last year the company tested the area with just a few holes – it was their first season with the asset – and proved its potential. Three drill holes returned broad intervals of gold, silver, and copper and each included at least one high-grade segment. Hole 5, for example, cut 122 metres of 1.2 g/t gold and 0.2% copper, including 12 metres of 10.9 g/t gold and 1.5% copper from just 30 metres downhole. Hole 4 was similar: 387 metres averaging 0.26 g/t gold, including 3 metres of 19 g/t gold and 2.2% copper starting just 20 metres downhole. It was a strong start. The cross section above shows those three successful holes. Aben also scoured the property, mapping every rock it could find and relating its data to historic work. The result was a much more developed idea of how the rocks at North Boundary are structured. And all that winter work worked: the first holes of the 2018 program returned stellar grades, including 331 g/t gold over 1 metre within 10 metres averaging 38.7 g/t gold. Other good results included 22 g/t gold over 4 metres and 8.2 g/t gold over 6 metres. With numbers like that it’s no surprise that the drill cores glimmered with visible gold. The market swooned. Aben’s share price doubled, boosted by the results and then by news that famous gold investor Eric Sprott was investing. Sprott put $2 million into Aben, taking down half of a financing that put $4.3 million into Aben’s account. The raise meant the company could expand its drill program, which is still ongoing. With a zone like North Boundary, with high-grade gold structures cutting through a disseminated zone, it takes a fair bit of drilling to understand what’s going on. Aben is doing that work right now and most of the results are yet to come. We have seen one further set of North Boundary results, from eight holes that all returned shallow, high-grade gold. Highlight numbers included 5.1 g/t gold over 12 metres, 23 g/t gold over 2 metres, and 10.6 g/t gold over 3 metres. With results from nine holes so far in hand, Aben has tracked the gold system at North Boundary along several hundred metres of north-south strike. The drill hits suggest that strike includes several mineralized veins. And Noranda’s high-grade hit from the 1990s is directly to the south but 230 metres away – which suggests good potential to at least extend the zone that far. Aben’s latest results actually came from a different zone: South Boundary. The company punched three holes into South Boundary, a strong gold and copper soil target 1.5 km to the south with a coincident electromag anomaly plus rock samples bearing gold. It was more than enough reason to punch a few holes. Those holes worked. Hole 21 cut 379 metres grading 0.1 g/t gold. The other two holes offered several gold-bearing segments. For the first three holes into a brand new target to return gold is a win, especially when the new zone sits within 1.5 km of a developing high-grade discovery. However, the market was unimpressed. I think the reason is simple: lots of traders read no farther than a headline. Following those early hot hits at North Boundary, they all wanted more high-grade holes. Instead, the headline reported a 0.1 g/t intercept. It didn’t matter that the intercept was from a completely different area – the number wasn’t what they wanted to see and so they sold. As a result, Aben shares lost the ground they had gained on the first results from North Boundary. And herein lies the opportunity. A whack of results are still pending from North Boundary. In fact, there are 24 holes at the assay lab right now. 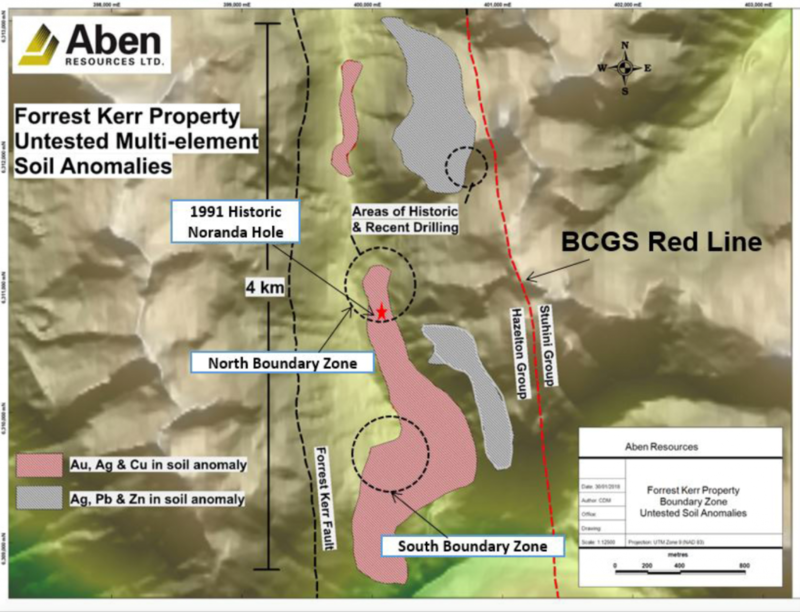 Given the consistency of success hitting into high-grade gold at North Boundary so far, odds are good Aben will have some more shiny results to report in the next two months. And if that happens the market will almost certainly respond. The gold market hasn’t been stellar in the last year but investors have made it clear that they love new high-grade gold discoveries. They piled into Aben on its first successful North Boundary hits this year but, because the market didn’t understand that South Boundary was a totally different target, ABN shares are now back down to pre-discovery levels. It means investors have a second chance to ride an Aben drill success wave. High-grade gold hits from a renowned area, reported in a market that’s increasingly keen on gold – it’s a recipe for another share price move. There are no guarantees. This is exploration, after all. But as Aben learns more about North Boundary through oriented core drilling, a magnetics survey, and ongoing mapping, they are figuring out the structural puzzle. The historic data is all starting to fall into place. And knowledge like that gives all these pending drill holes a good chance of success. That’s the very real short-term opportunity. Then there’s the big picture. Forrest Kerr offers 4 km of potential. At one end is South Boundary; even though the market didn’t love the low-grade results from its first holes, South Boundary is a very interesting target. Those first three holes were collared on the edge of the target, where drills could get to with reasonable ease, and still returned the right kinds of structure, alteration, and veining over long lengths. This is a legitimate new discovery. Then there’s the 1.5 km between North and South Boundary. This area has seen very little work – but offers lots of potential. The gold and copper in soil anomaly is continuous between the zones. Where rock outcrops have been found and mapped they show similar alteration, and at times veining, to the discovery zones at either end. Eric Sprott invested in Aben following its high-grade hit at North Boundary, but Sprott isn’t interested in a small high-grade zone. That’s what North Boundary is at the moment…but the opportunity here is to figure out just how much gold this prospective land package holds. The Golden Triangle has flexed its muscles many times, with discoveries like the super high grade Brucejack gold deposit, the famous Eskay Creek polymetallic mine, the massive Galore Creek project, and more. But today this renowned region is experiencing an exploration resurgence because new roads have made the area accessible while receding glaciers have exposed rocks that have been long hidden. Forrest Kerr is part of that story. The property is accessible at both its north and south ends, thanks to new roads. Less snow is making it easier to work in the area. A new power line servicing new run-of-river hydroelectric facilities cuts across the south end of the project. And major discoveries are underway right nearby. GT Gold’s Tatogga property, with a growing high-grade gold deposit and a new porphyry discovery, is just to the north. Golden Ridge’s Hank project, home to a porphyry discovery, is also just to the north. New exploration work at Eskay Creek and this historic high-grade Snip mine is happening to the south. All this work, in such a prospective area, is why investors are so attuned to the Golden Triangle. All that investment attention means strong results generate big share price moves. That’s the Aben Resources near-term opportunity. 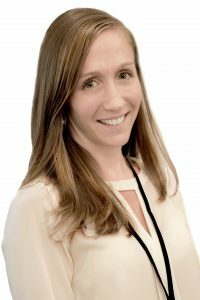 Backing that near-term opportunity is the big picture, which is an underexplored land package in a prolific gold region showing ample signs of a robust mineralizing event. I invested in Aben in mid-2017. I’ve already ridden this stock to success twice: when it hit its first gold at Forrest Kerr in 2017 and when it hit into super high grade gold two months ago. With ABN shares back down at pre-discovery levels, the opportunity is available once again. 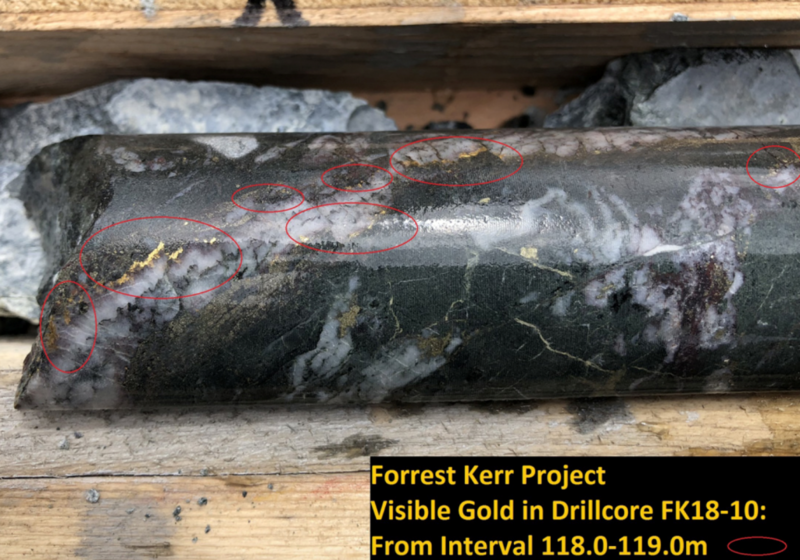 And it’s an even better opportunity now: there’s real potential for short-term gains on good results from North Boundary but there’s also a growing body of evidence that Forrest Kerr has strong potential for major mineralization along kilometres of strike. I’m entering Aben once again. The setup is just too good. DISCLAIMER: The information in this publication is not intended to be, nor shall constitute, an offer to sell or solicit any offer to buy any security. The information presented on this website is subject to change without notice, and neither Resource Maven (Maven) nor its affiliates assume any responsibility to update this information. Maven is not registered as a securities broker-dealer or an investment adviser in any jurisdiction. Additionally, it is not intended to be a complete description of the securities, markets, or developments referred to in the material. Maven cannot and does not assess, verify or guarantee the adequacy, accuracy or completeness of any information, the suitability or profitability of any particular investment, or the potential value of any investment or informational source. Additionally, Maven in no way warrants the solvency, financial condition, or investment advisability of any of the securities mentioned. Furthermore, Maven accepts no liability whatsoever for any direct or consequential loss arising from any use of our product, website, or other content. The reader bears responsibility for his/her own investment research and decisions and should seek the advice of a qualified investment advisor and investigate and fully understand any and all risks before investing. Information and statistical data contained in this website were obtained or derived from sources believed to be reliable. However, Maven does not represent that any such information, opinion or statistical data is accurate or complete and 19 should not be relied upon as such. This publication may provide addresses of, or contain hyperlinks to, Internet websites. Maven has not reviewed the Internet website of any third party and takes no responsibility for the contents thereof. Each such address or hyperlink is provided solely for the convenience and information of this website’s users, and the content of linked third-party websites is not in any way incorporated into this website. Those who choose to access such third-party websites or follow such hyperlinks do so at their own risk. The publisher, owner, writer or their affiliates may own securities of or may have participated in the financings of some or all of the companies mentioned in this publication.